Since its inception, National Black MBA Association, Inc. has awarded over $5 million dollars in scholarships to undergraduate, graduate and doctoral students. 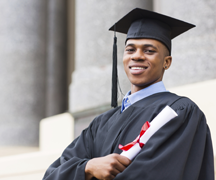 ​The Philadelphia Chapter of National Black MBA Association, Inc. awards graduate and undergraduate scholarships to deserving African-American students admitted/enrolled in business and management-related degree programs. In addition, we award undergraduate scholarships to deserving African-American high school seniors participating in our Leaders of Tomorrow (LOT) High School Mentoring Program. Scholarship applications are available below. The submission deadline for completed scholarship applications is May 26, 2017. Scholarship winners will be recognized at the NBMBAA Scholarship and Leaders of Tomorrow Luncheon on June 10, 2017.